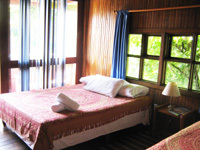 The simple, charming rooms were constructed using wood, giving it a rustic feel with the modern conveniences of a private bathroom and warm shower. 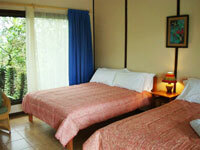 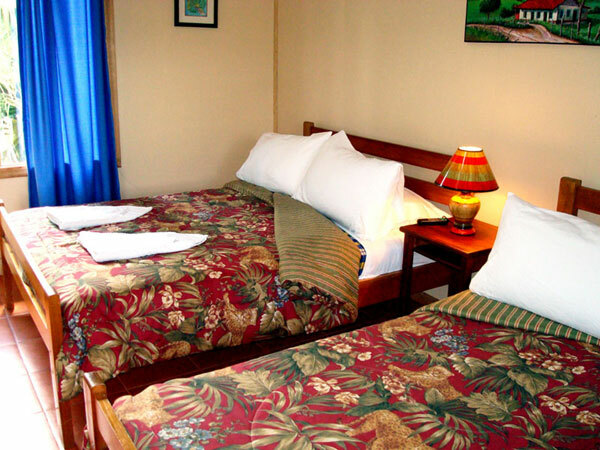 Decorated with colorful, locally made bedspreads and artwork by artists in Turrialba. The Caribe standard rooms are located on the main floor, these rooms are comfortable and quiet, with great views to our orchid gardens, equipped with two double beds, cable TV, coffee maker, fan, private bathroom, and a private terrace where you can relax and enjoy your stay at the lodge. 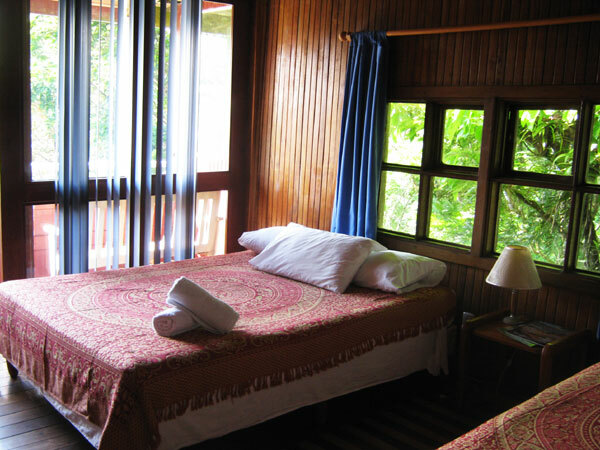 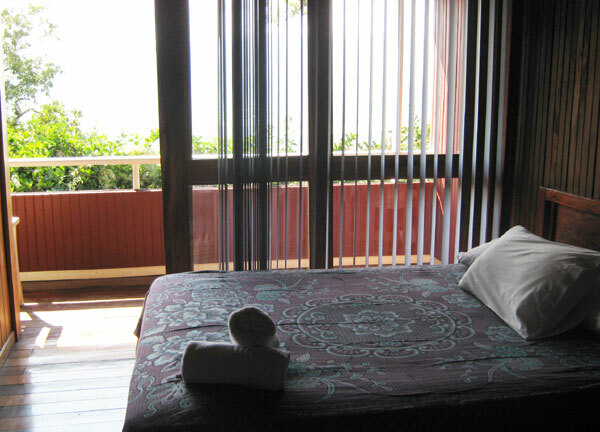 The Turrialba rooms are located on the second floor of the building, petit rooms with one double bed, private bathroom, fan, coffee maker and a private balcony with incredible views of the landscape, the valley of Turrialba, and the majestic Turrialba Volcano.